The Ministry of Oil announced on Thursday that it intends to drill 40 oil wells in Majnoon field, indicating that it is seeking to reach 450 thousand barrels in the field in 2021. "The Basra Oil Company signed a contract with the Iraqi Drilling Company to dig 40 oil wells in the field of Majnoon," said the Minister of Oil Thamer Ghadhban, according to a statement received by "Economy News" a copy of it, noting that "the contract represents an important step to develop Oil fields with national capabilities through specialized companies, including the Basra Oil Company and the Iraqi Drilling Company. " "The ministry will be able through this decade to develop the field and increase the production processes in record times and reduced costs and the efforts of loyal national staff in the oil companies of Basra and Iraqi drilling." 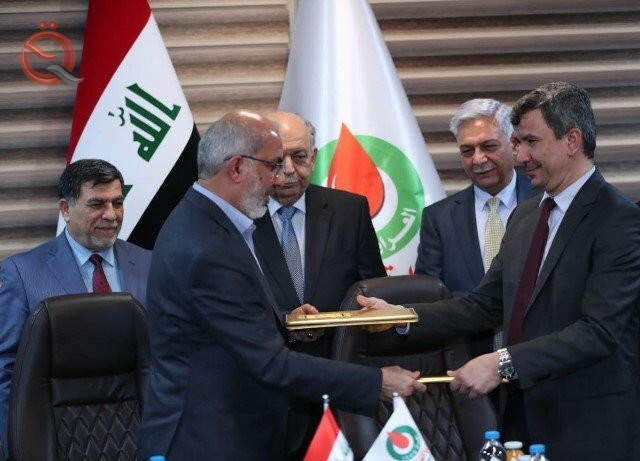 For his part, said the Director General of the Basra Oil Company Ihsan Abdul-Jabbar, "The signing of the contract with the Iraqi Drilling Company is an update of the development program Majnoon oil field," stressing the achievement of "the national goal of large development of the field and increase production rates to 450 thousand barrels during the year 2021 "He said. The Majnoon field is one of the giant oil fields in Iraq and the current production capacity is more than 240 thousand barrels per day.